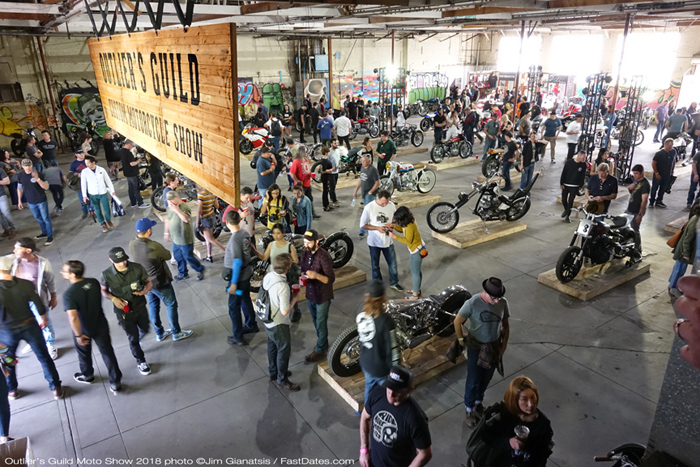 2018 Sport Bike Track Shootout! and photographed by Alan Sauquet. Borgo Panigale, Bologna, 14 June 2018 – A few days after Ducati MotoGP and SBK riders confirmed their attendance at WDW2018 at the Misano circuit July 20-22nf 2018, another exciting development has made the event more of a must than ever: The Race of Champions. 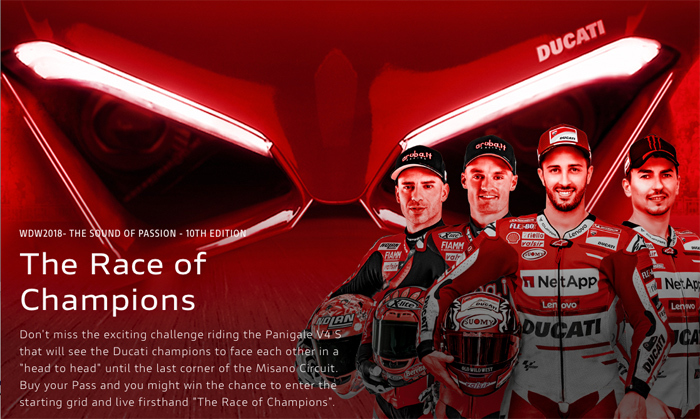 On Saturday 21 July Ducati riders will engage in a thrilling challenge at the Misano World Circuit as they go head to head on limited-edition Panigale V4 S motorcycles with a special configuration. Shortly before the race, aerobatics of Italy's Tricolour Arrows flying over the starting grid will make the event even more breath-taking. Twelve renowned riders, "Ducati flagbearers" past and present, will compete in an unprecedented challenge: MotoGP and Superbike riders like Andrea Dovizioso, Jorge Lorenzo, Danilo Petrucci, Jack Miller, Chaz Davies and Marco Melandri will be there, as will first-rate riders like Troy Bayliss who have made Ducati history. A true competition, from free practice to podium. There will also be the possibility, for a limited number of visitors of WDW, to experience the excitement of the starting grid. 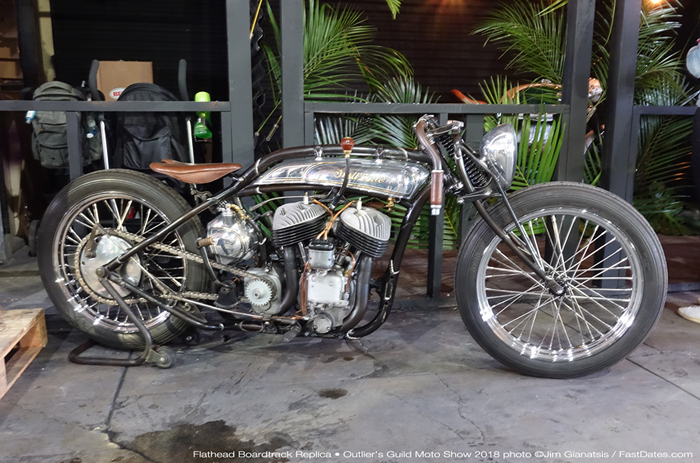 Quite a unique event that only Ducati can offer, and which represents one more reason not to miss the tenth edition of the World Ducati Week. From July 20 to 22 , World Ducati Week 2018 will welcome thousands of Ducatisti and motorcycle enthusiasts from all over the globe on the Adriatic Riviera and the “Marco Simoncelli” Misano World Circuit. 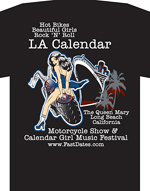 Advance sales of passes have already started. To ensure your place at WDW2018 there are several purchase options: for full details please go to wdw.ducati.com. Race One winner Jonthan Rea and his team managwr Pere Riba. 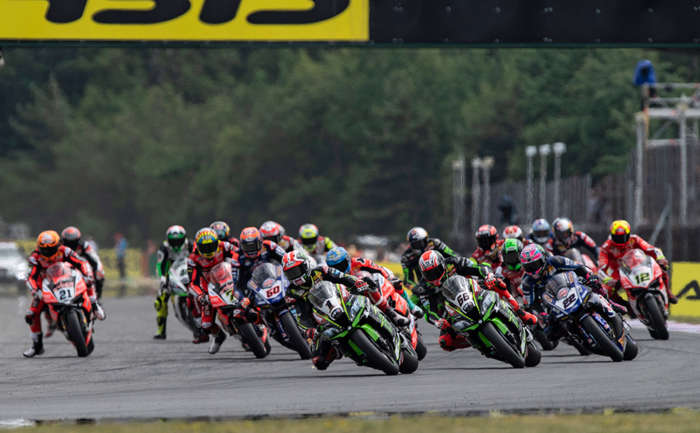 Brno, Czech Republic, June 8-10th 2018 - When the MOTUL FIM Superbike World Championship last graced the flowing hills of the Automotodrom Brno, Jonathan Rea (Kawasaki Racing Team WorldSBK) was a promising 25-year-old with 10 race wins to his name, no world championships. The contrast this Saturday, six years later, was startling: the KRT rider led a perfect race to take his sixth race win of the season, winning more WorldSBK races than any other rider in history, as the big 60 put him above the legendary 3-time World Champion Carl Fogarty who held the record at 59 wins. 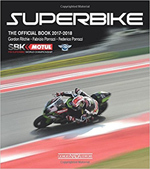 After race one at the Automotodrom Brno in 2018 a new chapter was written in the history books of the FIM Superbike World Championship. 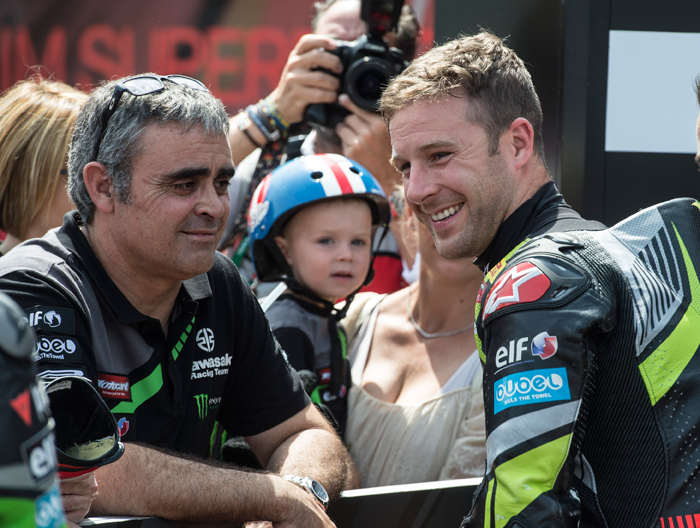 Official KRT rider Jonathan Rea achieved a total of 60 race victories in his career, making him the most successful race-winning rider through all 31-seasons of the premier production-derived race category in the world. Before he arrived in the Kawasaki Racing Team fold Rea had won 15 races in six years of WorldSBK competition, with his first arriving at Misano in 2009. The first of his 45 wins for Kawasaki came along at his very first race on the Ninja ZX-10R, at another special circuit for him, Phillip Island in Australia - the hometown of his wife Tatia. Shortly before joining Kawasaki Rea had led the points standings after four rounds of the 2014 championship. 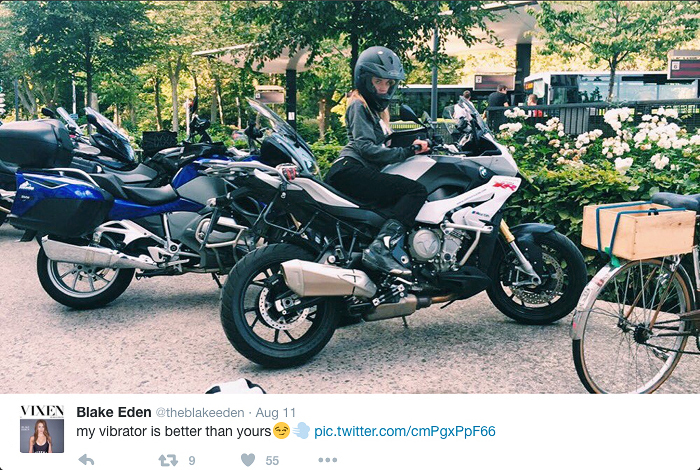 But it took his arrival in the Kawasaki fold a year later for his true potential to shine through. That potential has grown into the reality of 60 race wins in all, and three consecutive world titles. From 2015 until now he has been a virtual race-winning machine. He scored 14 victories in 2015, nine in 2016, 16 in 2017 and – at only the halfway point of the 2018 season – another six so far. Brno, one of Rea’s favourite circuits and one with a long racing heritage, provided an appropriate backdrop for Rea’s latest landmark achievement. He had scored his very first World Championship race win, in the WorldSSP class, at Brno in 2008. At that same circuit he enjoyed an emphatic 60th WorldSBK race victory on Saturday the 9th of June, such was his determination to get back to winning ways and progress from joint all-time winner to a stand-alone record holder. With one more race to go at Brno on Sunday 10th June, and then six more rounds to complete, few would expect anything less than Rea adding to his winning total long before the season finishes at Losail in October. As well as his record total of race wins; Rea is the only rider to have won three consecutive World Championships, in 2015, ’16 and ‘17. He is currently the clear leader in the 2018 championship standings, having moved 81 points ahead of second place with his special race win. RACE ONE Saturday June 9th - Around the longest track in the season, it was fitting for the action to be more extended than usual. 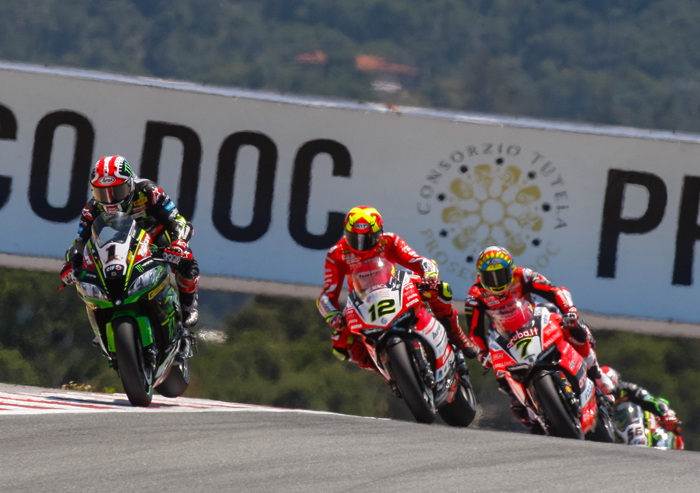 Rea overtook teammate Tom Sykes (Kawasaki Racing Team WorldSBK) at the start, but crashes from Jordi Torres (MV Agusta Reparto Corse) and Michael Ruben Rinaldi (Aruba.it Racing – Junior Team) forced a red flag and race restart – twice, due to technical issues on the grid. At the third time of asking, with the race length now down to 16 laps, Sykes defended his position at turn 1, but Rea was in front a couple of corners later, keeping Sykes behind and jetting off. The Northern Irishman was also helped by the action behind, with Marco Melandri (Aruba.it Racing – Ducati) and Alex Lowes (Pata Yamaha Official WorldSBK Team) putting Sykes under pressure. Michael van der Mark (Pata Yamaha Official WorldSBK Team) also joined the fight, swapping positions several times with his teammate in a thrilling battle. Rea went untroubled from this point forward, leading a composed ride to the finish line. 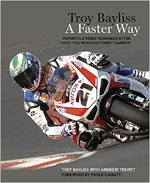 He was the only rider managing laps times under two minutes, keeping a 4-5 second gap from his closest pursuers. The defending champion has now opened an 81 point gap over Chaz Davies (Aruba.it Racing – Ducati), who took a top eight today, as his championship pursuit becomes even tougher. Behind the leader, Melandri finally got the best of Sykes in lap 4, taking his best result since Phillip Island in February with second. It’s the fifth podium for Melandri at Brno in WorldSBK, and a fantastic comeback after a difficult Donington weekend. Sykes crossed the line in third, two seconds off the Italian. The rostrum was finally just not close enough for the Yamaha riders, with van der Mark beating Lowes to fourth place. Both men will sit at the front of the grid in Race 2, a fantastic opportunity to move their personal tussle to podium fighting positions tomorrow. A thrilling battle for sixth midway through the race saw Eugene Laverty (Milwaukee Aprilia) emerge triumphant and back into the top positions. He got the best of teammate Lorenzo Savadori (Milwaukee Aprilia), who still managed to beat Davies in the final laps for seventh. Leon Camier (Red Bull Honda World Superbike Team) netted himself another top 10 finish. Still not 100%, the Brit has managed to come in ninth at the flag, ahead of Toprak Razgatlioglu (Kawasaki Puccetti Racing) in tenth, the first independent rider at Brno. Yonny Hernández (Team Pedercini Racing) confirmed his good form at the Czech circuit, returning to the WorldSBK paddock in eleventh after missing the UK Round. "It was nice to take my 60th win in a race like that, I was so happy and my guys gave me an awesome bike. I want to say a big thanks to KRT for bringing us to the test here - that gave us a big advantage and meant this weekend was more calm, and we could understand our Pirelli tyres and base set-up. The race was perfect, they don't come like that a lot and its incredible, 60 race wins is a huge story that I've had, each and every one is special and I couldn't do it without my team." "It was a very good race, as I expected it was difficult, as the track was warm and the grip was quite low after three to four laps. We had a lot of understeer and lost the grip, so it was hard to not push too much. But I had a look and I saw Jonny was gone, so I just tried to check my gap with Tom from my pit board. and tried not to make a mistake, it was a long race but I will try to do better tomorrow." "Today is Jonathan's day, it's a fantastic achievement and I want to say a big congrats to him, to get 60 is some achievement! But unfortunately we didn't have the pace to match him, and tomorrow is another day. We really struggled with understeer today, but we didn't lost too much once the pace settled, but initially I couldn't dig the front in. Third is the best I could do today, it's great to have all the support in the Czech Republic, great to have the podium here and hopefully tomorroe we can have a lot to cheer about." RACE TWO, Sunday June 10th - Alex Lowes (Pata Yamaha Official WorldSBK Team) took his first ever MOTUL FIM Superbike World Championship race win at the Acerbis Czech Round, in an astonishing Race two which saw championship leader Jonathan Rea (Kawasaki Racing Team WorldSBK) crash out early on. The thousands of Czech fans present at the Automotodrom Brno witnessed a wild, unpredictable affair, ending in a Yamaha one two and a sixth race winner in 2018. The front row all kept their positions at the start, with van der Mark (Pata Yamaha Official WorldSBK Team) holding off his teammate through the first corners. Lowes would make his move into the race lead the following lap however, gaining the inside line through the first corner. Meanwhile, Marco Melandri (Aruba.it Racing – Ducati) climbed all the way from eighth on the grid to third by lap two, and past van der Mark a few corners later. The next couple of laps saw three dramatic, almost unbelievable twists. 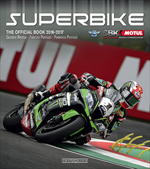 First, championship leader Jonathan Rea went down at turn 12, apparently after coming in contact with teammate Tom Sykes (Kawasaki Racing Team WorldSBK). The Northern Irish rider couldn’t make it back on track, retiring for the first time this season. If yesterday his lead seemed almost unsurmountable, after Sunday there was more than a glimmer of hope. Next, Marco Melandri, having just passed Lowes for the race lead, lost control of his Ducati and rode through the gravel, immediately dropping the Italian to the back of the field and denying Melandri a return to the top of the rostrum when he was the fastest man on track. 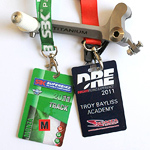 And then Sykes slipped in lap 6, leaving all of yesterday’s podium men off the rostrum in Race two. In four seasons together, never had both British KRT riders left a race empty-handed. Melandri was able to salvage a point, putting him in 15th. With a dozen laps left, the stage was thus set for a Yamaha battle to the end, as Chaz Davies (Aruba.it Racing – Ducati), in third, was unable to match the pair’s pace. But this time, unlike when he led at Donington, Lowes’ YZF-R1 did not drop off in the final third: a smart, consistent and overall flawless ride by the Brit kept him ahead of his Dutch teammate all the way to the checkered flag with two seconds to spare. The man from Lincolnshire made his debut at Brno in 2011 – seven years on, he can finally call himself a WorldSBK winner. With van der Mark claiming another podium finish in second, the Dutchman moves into third in the championship standings, above Sykes; while for Davies, who took an excellent third at Brno considering the issues that have plagued his weekend on the Panigale, cut Rea’s lead to 65 points. Behind the rostrum riders, Eugene Laverty (Milwaukee Aprilia) took fourth, his best result of the season, with his teammate Lorenzo Savadori (Milwaukee Aprilia) also a season-best in fifth. Brno welcomed more good results for the Italian manufacturer, adding their bikes to the long list of podium contenders this season. Michael Ruben Rinaldi (Aruba.it Racing – Junior Team) had a career-best of sixth at Brno, rising from eleventh on the grid in just his tenth WorldSBK race. 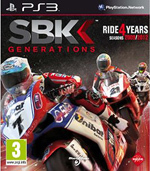 He finishes above Leon Camier (Red Bull Honda World Superbike Team), in seventh. Xavi Fores (Barni Racing Team) returned to the top-ten in eighth, with Toprak Razgatlioglu (Kawasaki Puccetti Racing) in ninth, and Roman Ramos (Team GoEleven Kawasaki) tenth. 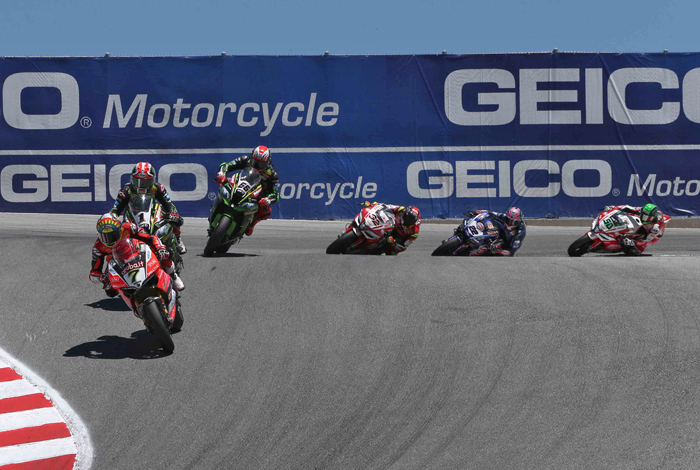 WorldSBK is back in two weeks from Laguna Seca, a special circuit with some of the best sections of the championship. Join us there on Saturday 23rd of June. "It's amazing, I don't want to talk too much because I'll get upset. But honestly, its fantastic, thank you to the team and hopefully we can get a few more now!" "I'm really happy with this result, I changed the front tyre compared to yesterday and Alex was so fast. I knew he had a really good pace so I tried to catch him and stay calm but in the end he was stronger, but anyway I am really happy with this podium, Alex's first win is something he deserves and its a really great day for the Yamaha team." "Its been such a tough weekend, probably one of the most difficult weekends that I've endured as a Ducati rider in recent memory, after some harsh words last night we regrouped and came back with a bike that was able to fight for the podium. I think we got a little bit lucky today but we made a step forward and that was important and it's fantastic. Thanks to everybody involved because it's been a really tough weekend." 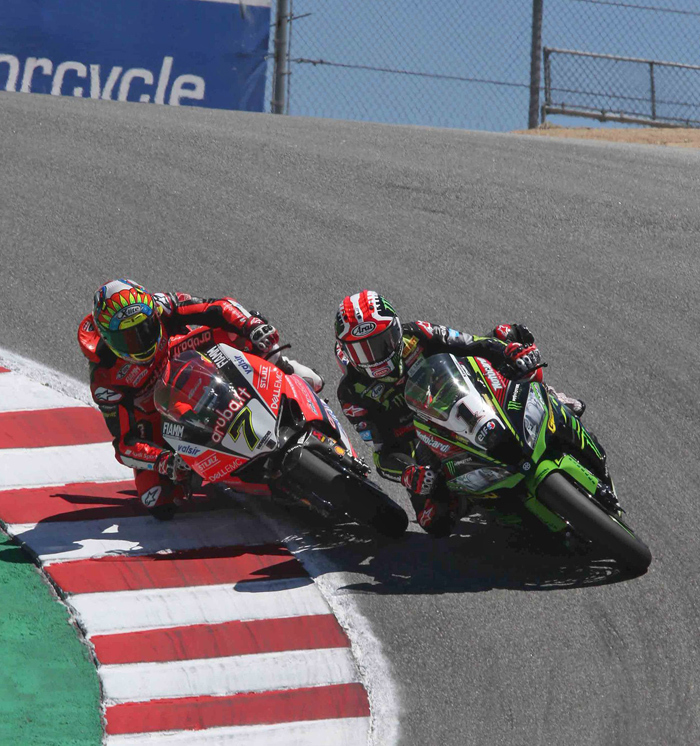 WeatherTech Raceway Laguna Seca, California, USA, June 22-24th 2018 - Jonathan Rea (Kawasaki Racing Team) scored a famous double victory at Laguna Seca on Sunday after winning Race Two from his nearest championship rival Chaz Davies (Aruba.it Ducati) by 5.099 seconds. Davies recorded two 2nd Place finishes for the California weekend, with Eugene Laverty (Milwaukee Aprilia) taking his first podium for the Italian brand in Race Two. 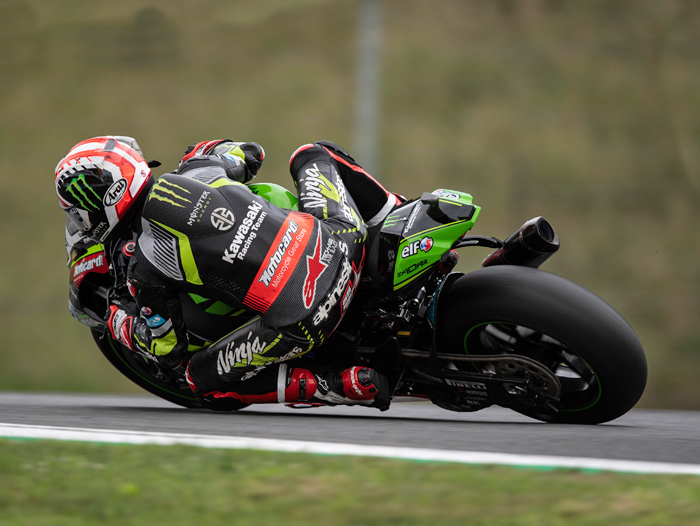 In cooler conditions than those experienced during race one on Saturday, Sunday’s 25-lap WorldSBK race saw Sykes start from the second row and Rea from the third row, under the reverse grid rules for race two at each event. Rea had got up to fifth on lap one and then into the lead by lap eight at the intense 3.610km long hillside circuit. He found a set up on his Ninja ZX-10RR that allowed him to ride with his desired natural flowing style and he ran out the clear winner. It was his eighth victory of the season, giving him a 50% winning record for the season so far. 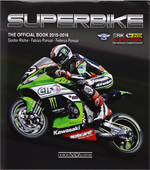 Jonathan reached the landmark of 125 career WorldSBK podiums today. 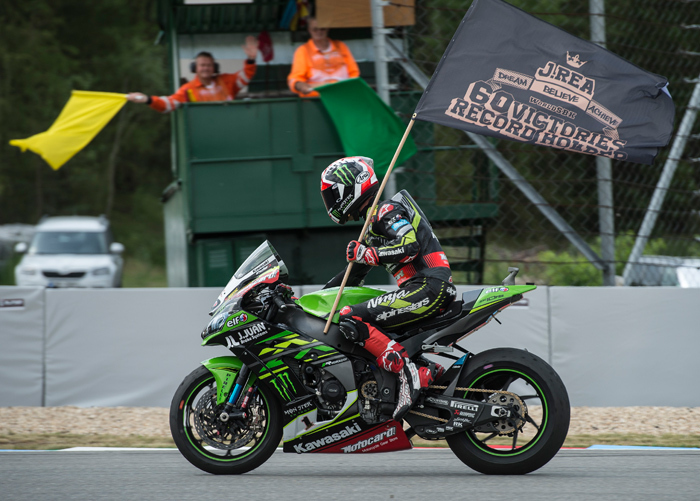 In winning for a fourth time in his career at Laguna Seca, Rea extended his championship lead to 75 points over runner-up in race two, Chaz Davies. Sykes is still fourth overall, 19 points from third place, with 16 of the scheduled 26 races completed. 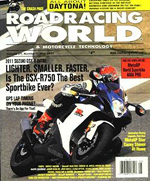 In the Manufacturers’ Standings Kawasaki enjoys a lead of 45 points. Jonthan Rea (1) shadowed early race leader Chaz Davies (7) for the first 7 laps, then when Chaz missed his breaking point into the t the Corkscrew, Rea dove inside and came out ahead at the bottom. 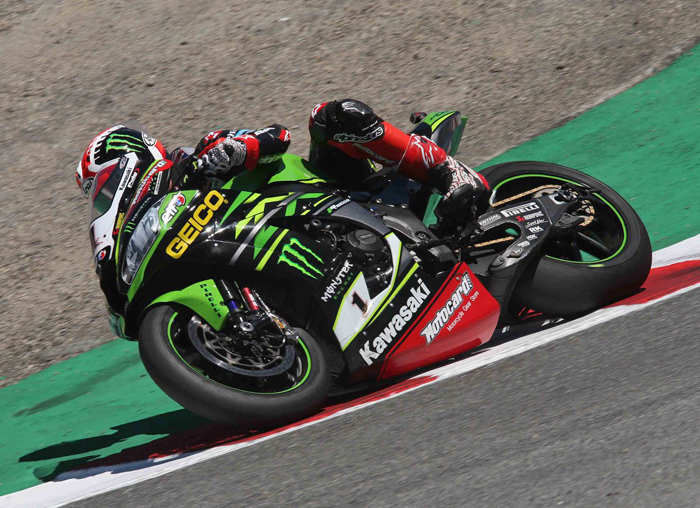 Saturday Race One - Jonathan Rea (Kawasaki Racing Team WorldSBK) proved that his Friday form was no fluke by taking his seventh win of the campaign in Race 1 at the WeatherTech Raceway Laguna Seca. 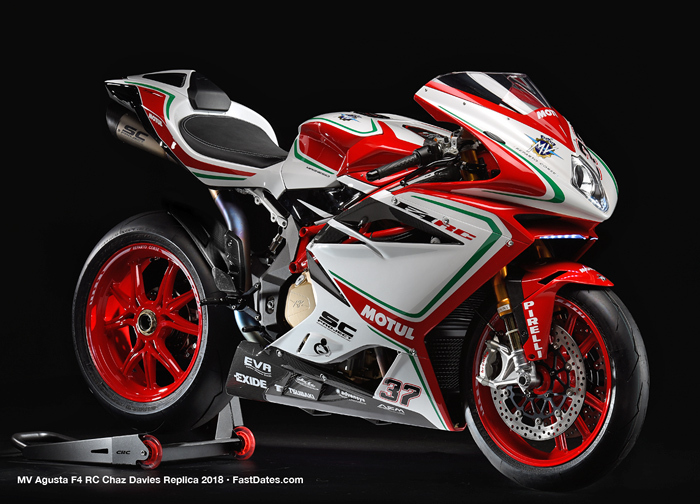 The MOTUL FIM Superbike World Championship witnessed a new battle between the defending champion and Chaz Davies (Aruba.it Racing – Ducati), another chapter in the vast collection of showdowns between the pair. 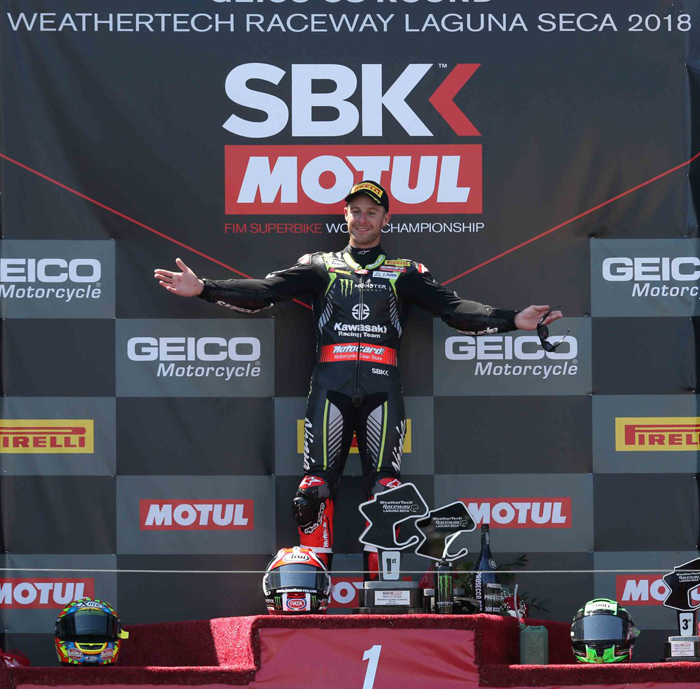 This time, it was the Northern Irishman’s time to shine in the blazing Californian heat – his third triumph at Laguna Seca. Eugene Lavery (50) holds a brief lead in Race Two ahead of Rea (1) and (60) Van derMark. 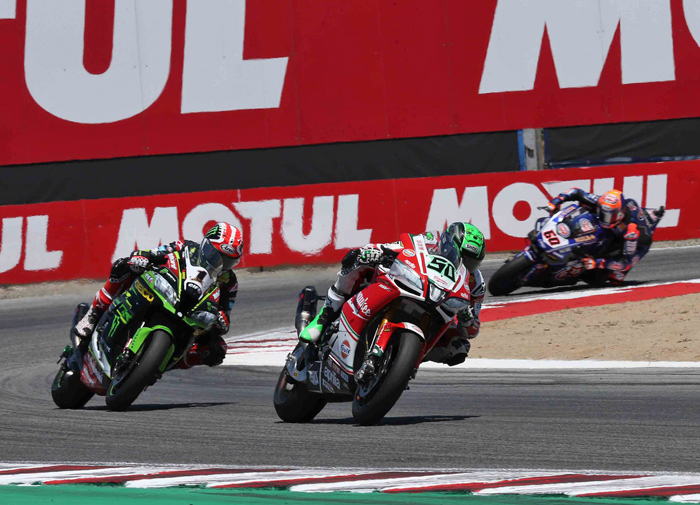 Sunday Race Two - Jonathan Rea (Kawasaki Racing Team) took his second win of the weekend at the WeatherTech Raceway Laguna Seca, becoming the most successful rider in MOTUL FIM Superbike World Championship history at the US racetrack in the process. The Northern Irishman was again unstoppable in the GEICO US Round, flying to the lead in the opening eight laps despite having to start from the back of row three. Second went again to Chaz Davies (Aruba.it Racing – Ducati), with a sensational performance from Eugene Laverty (Milwaukee Aprilia) to complete the podium in third. Rea wasted no time at the lights. By the end of lap one he had managed to climb from ninth on the grid to fifth; three laps around Laguna Seca later, he was already up to second and chasing race leader Laverty. Sitting behind the leading group was Marco Melandri (Aruba.it Racing – Ducati) who crashed out in the early stages of the race making it the third time in the last seven races that the Italian has failed to score any points. It didn’t take much longer for the Race 1 leader to pass Laverty either, picking off the Aprilia rider with ease through Lap eight. A similar story to yesterday: two thirds of the race left, an open track ahead, and an unbeatable race pace. When Rea finds his groove and is this confident, the three time champion is second to no one. Even Davies, who put in another stunning climb through the ranks and passed Laverty into second with eight laps to go, couldn’t close the gap and had to settle for second. In a similar performance to Sunday however, there was plenty of action for the remaining rostrum place. Laverty, who was now in third, was quickly hunted down by the two Pata Yamaha riders. But the pair battled amongst themselves for just enough laps for the Irishman to keep them both at bay, meaning he was able to clinch his first podium of the 2018 campaign, also a first since Sepang 2014. The battled continued between Yamaha"s Van DerMark (60) and Lowes (22). The battle between Round Six and Seven’s race winners van der Mark and Lowes, saw the Brit finally emerge victorious with two laps to go thanks to a brave pass in the run-up to the Corkscrew. A bit of magic from the Lincolnshire rider means he is able to close the gap to his teammate in the standings to just 32 points. Van der Mark meanwhile couldn’t make the best of a fantastic start, which saw the Dutchman rise to second at Turn One, and crossed the line in fifth. Xavi Fores (Barni Racing Team) repeated his Race One performance with sixth at the flag, a sign that the Spaniard is building back his form after two forgettable rounds. Behind him was fellow Spaniard Jordi Torres (MV Agusta Reparto Corse) in seventh, ahead of Tom Sykes (Kawasaki Racing Team WorldSBK) in eighth. Sykes is a three time winner at Laguna Seca, but on Sunday he found himself collapsing down the ranks from the start and it never quite worked out throughout the 25 laps for the Kawasaki rider, closing a disappointing weekend. Jake Gagne (Red Bull Honda World Superbike Team) went one better than on Saturday, crossing the line in ninth and taking his personal best result in WorldSBK. 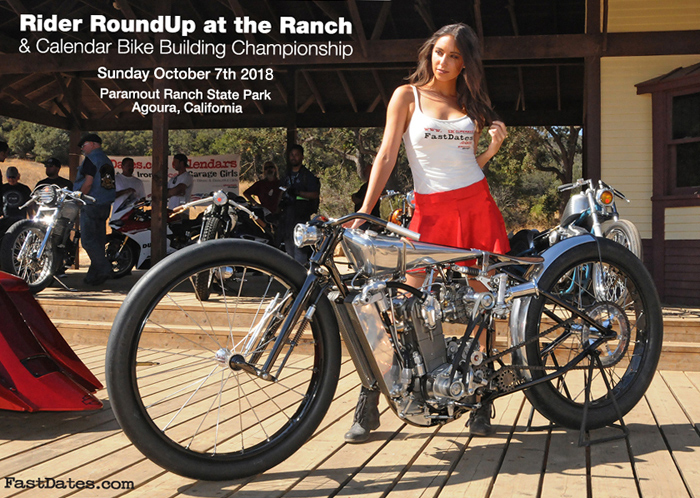 A fantastic weekend at home for the Californian, who crossed the line ahead of Loris Baz (GULF Althea BMW Racing Team) in tenth and Leandro Mercado (Orelac Racing VerdNatura). 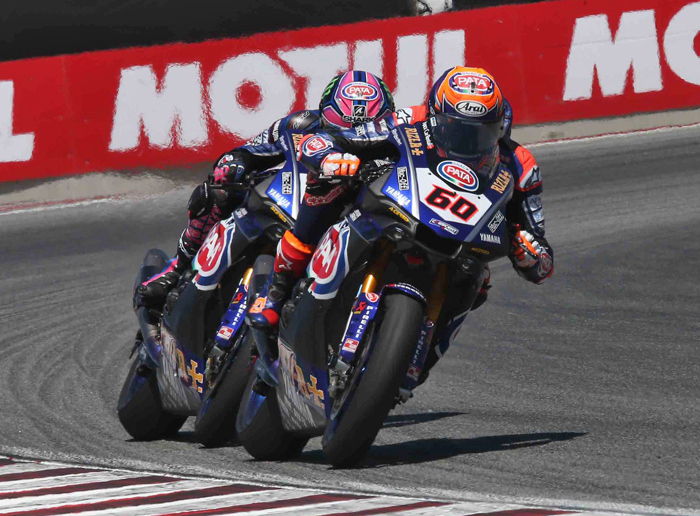 A special mention for Karel Hanika (Guandalini Racing), who crossed the line in a promising 14th, scoring points in both races at Laguna Seca on his WorldSBK debut. Jonthan Rea destroyed his Kawasaki ZX10R in Friday Practice, but his team worked overight replacing the engine in a spare chassis and hard the bike perfect for Rea's double on the weekend. 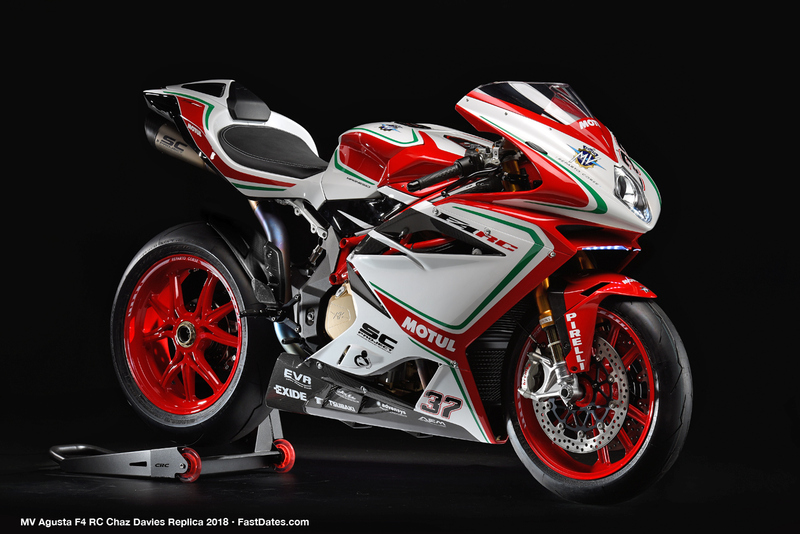 The Aprilia RSV4 comes out on top as their track favorite. Catalunya, Spain, Sunday, 17 June 2018 - Jorge Lorenzo (Ducati Team) hammered home the victory at the Gran Premi Monster Energy de Catalunya in flawless style, taking the win by over four seconds to secure his second consecutive win. 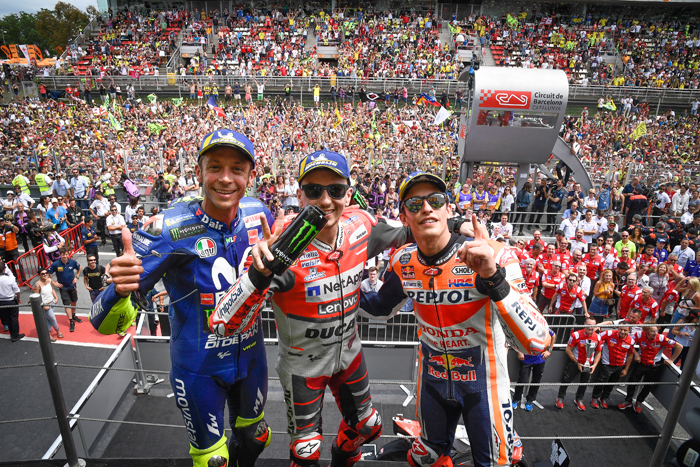 Marc Marquez (Repsol Honda Team) crossed the line second at his home Grand Prix to extend his Championship lead, with Valentino Rossi (Movistar Yamaha MotoGP) securing third place for the third race in a row. 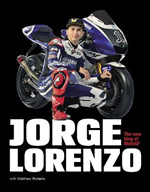 Just like it was in Mugello, Sunday at the Circuit de Barcelona-Catalunya was all about Lorenzo. This time, however, the number 99 didn’t get the perfect launch from pole position, with Marquez out-dragging the Ducati into the first corner and the number 93 taking the holeshot. Andrea Iannone (Team Suzuki Ecstar) also made a great start, slotting into second place on the opening laps, with Lorenzo pushed back to third. The Spaniard wasn’t there for long, however, keeping his composure to get past Iannone and Marquez to lead into Turn 1 on the second lap. From there, it was hammer time. His teammate Andrea Dovizioso (Ducati Team) was also tucked up behind the number 93 in third, but the Italian then crashed out at Turn 5 on lap 9 – his third DNF of the season and another massive dent in his title aspirations. Back on track, Lorenzo and Marquez had pulled the pin, with Rossi picking up third position, 3.2 seconds back. The gap between the two Spaniards at the front remained just under a second but with Lorenzo looking imperious - setting 1:40.0s lap after lap. In the end, the Championship leader had no answer, and eventually finished 4.479 seconds back from the number 99 – who now draws level on points with teammate Dovizioso in the overall standings. Lorenzo and Marquez, a rivialry set to get even closer in 2019 when Lorenzy moves to Honda? Rossi was a lonely third at the checkered flag but made it yet another podium finish to remain second in the standings, with Cal Crutchlow (LCR Honda Castrol) enjoying a fantastic ride to finish as top Independent Team rider in fourth. The Brit was locked in a battle with Repsol Honda Team’s Dani Pedrosa in the latter stages of the race before getting the better of the Spaniard down into Turn 4 and Pedrosa rounded out the top five. Maverick Viñales’ (Movistar Yamaha MotoGP) opening lap woes continued, with the home rider finishing the first lap down in P10 after starting fourth. The Spaniard managed to salvage sixth at the flag, holding off Johann Zarco (Monster Yamaha Tech 3), with the two locked together throughout the race. Danilo Petrucci (Alma Pramac Racing) crossed the line eighth, with fellow Ducati rider Alvaro Bautista (Angel Nieto Team) seven seconds further back in ninth. Iannone slipped right back after a fantastic start, and the Italian rounded out the top ten. Pol Espargaro (Red Bull KTM Factory Racing) picking up his fourth straight P11 finish, with Scott Redding (Aprilia Racing Team Gresini) and Karel Abraham (Angel Nieto Team) the only other riders to finish the race in P12 and P13 respectively. Bradley Smith (Red Bull KTM Factory Racing), after being as high as eighth on the opening laps, was taken out by Takaaki Nakagami (LCR Honda Idemitsu) at Turn 5 on lap 14 – riders ok. Mika Kallio (Red Bull KTM Factory Racing), Sylvain Guintoli (Team Suzuki Ecstar), Tom Luthi (EG 0,0 Marc VDS), Aprilia Racing Team Gresini’s Aleix Espargaro and Xavier Simeon (Reale Avintia Racing) also crashed out early in the race – riders ok.
Hafizh Syahrin (Monster Yamaha Tech 3) had a nasty crash on the exit of Turn 4 after it looked like he could earn a top ten finish, but the Malaysian was ok. Alex Rins’ (Team Suzuki Ecstar) difficult weekend continued in the race, the Spaniard retired on lap 12. Jack Miller (Alma Pramac Racing) was another retirement on lap 18, with Tito Rabat (Reale Avinita Racing) having to leap off his Ducati after it caught fire heading into Turn 1 – rider ok. It was another mesmerising display from five-time World Champion Lorenzo at the Catalan GP, who will be aiming for his third consecutive victory as the premier class head to the classic Assen circuit. And Marquez extended his Championship lead to 27 points, but Rossi remains his closest challenger - and the 'Doctor' has oft been the master of the TT Circuit Assen. 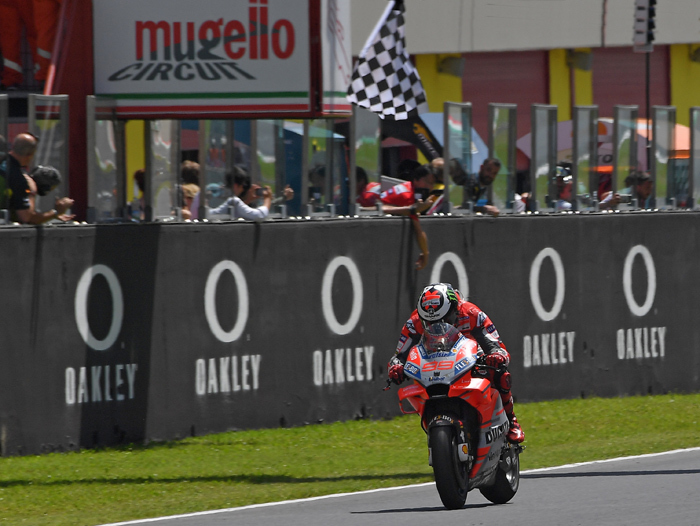 Mugello, Italy, Sunday, 03 June 2018 - Jorge Lorenzo (Ducati Team) has taken his first win in red as he led a 1-2 for the Ducati Team at Mugello, uncatchable and untouchable to cross the line over six seconds clear for his first victory since Valencia 2016 - and his seventh Italian GP win. 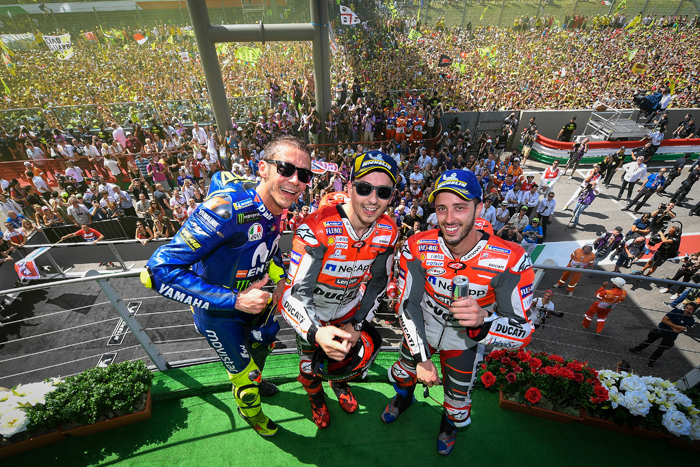 Andrea Dovizioso made it double podium glory for the Borgo Panigale factory as he took second, fending off a late charge from polesitter and crowd favourite Valentino Rossi (Movistar Yamaha MotoGP). The ‘Doctor’’s podium finish was another history maker in a milestone day at Mugello as the rider from Tavullia became the first to get more than 5000 premier class points, meanwhile Championship leader and reigning Champion Marc Marquez (Repsol Honda Team), crashed and remounted but failed to score. June 1th 2018 - Jonathan Rea has signed a new contract with Kawasaki to remain in the WorldSBK championship as an official KRT rider for two more years. This is an agreement that seals the commitment of both the three-time World Champion and the most successful WorldSBK manufacturer of recent years to each other - and to WorldSBK racing. Rea had several options for 2019 and beyond, including possible MotoGP rides, but has elected to stay loyal to Kawasaki and the WorldSBK championship paddock he has ridden in since 2008. Rea has secured three consecutive World Championships since he joined the Akashi based manufacturer in 2015. 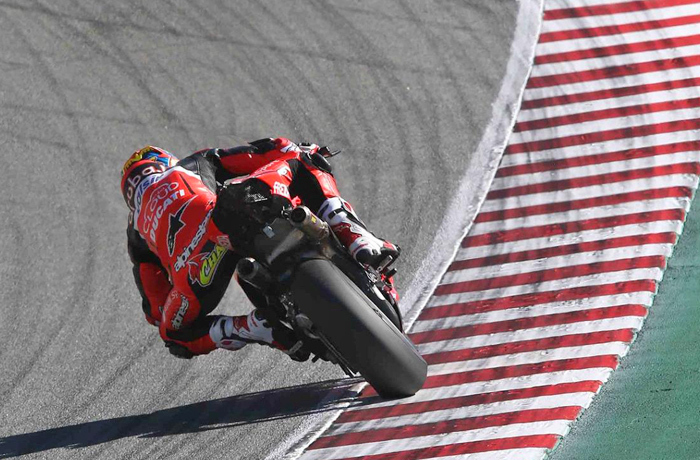 Desmo Dovi Sets new MotoGP Top Speed Record of 356.4 kmh / 220.968 mph at Mugelo! Friday June 1st 2018, Gran Premio d'Italia Oakley. 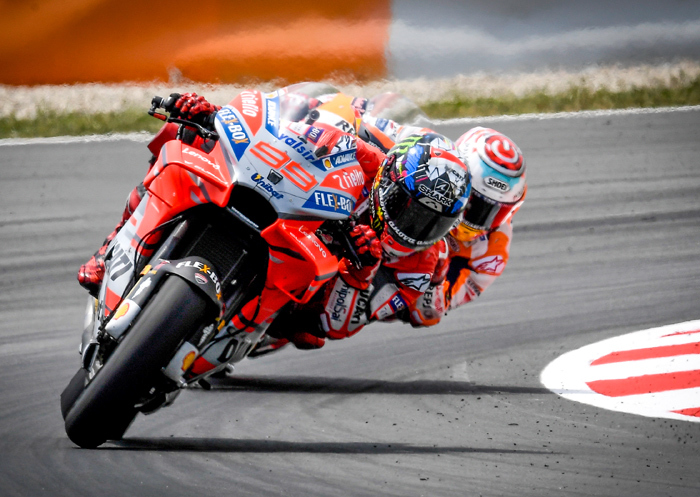 Mugelo, Italy - It was a dramatic Friday at the Gran Premio d’Italia Oakley, with some big headlines, a shake-up on the timesheets and a record broken as Andrea Dovizioso (Ducati Team) became the fastest man in MotoGP™ when he set a new top speed record of 356.4km/h – up from the previous best of 354.9km/h set by compatriot Andrea Iannone in 2016. For comparison, the higest top speed for the equivalent premier 4-wheel car Formaula One race cars was set by Juan Pablo Montoya. A year after setting F1's fastest ever lap at the 2004 Monza GP at 262.242kph (162.950mph), Juan Pablo Montoya returned to Monza in to set another all-time record during the 2005 Italian Grand Prix weekend, hitting a top speed of 372.6kph (231.523mph) the fastest ever recorded in Formula One which still stands today. Team Suzuki Ecstar’s Iannone was, however, the quickest man overall on Day 1 at Mugello – 0.387 ahead of Maverick Viñales (Movistar Yamaha MotoGP), with reigning Champion Marc Marquez (Repsol Honda Team) less than a tenth further back to make it three different bikes in the top three. Marquez did crash on Friday and suffered a run off, rider ok, but some bigger headlines instead came from two Red Flags in FP2. The first went out following a high-speed crash for Michele Pirro (Ducati Team) into Turn 1, with the Borgo Panigale factory’s test rider tumbling through the gravel following a highside. After being treated by the track, it was confirmed that Pirro was conscious and the Italian was then transferred to Ospedale Careggi in Florence for further checks. Action then got back underway, but not for long – with Dovizioso then suffering a mechanical problem into Turn 1 and flames briefly appearing around his Desmosedici. After going third in the morning and setting the fastest top speed, the incident put a dent in the day for the 2017 Italian GP winner and he was P13 on the combined timesheets on Friday – with fellow big name Dani Pedrosa (Repsol Honda Team) also out of provisional Q2 graduation in P14, 0.022 off the Italian. Back at the top behind the fastest trio and the headline incidents, it was a solid day for top Independent Team rider Johann Zarco (Monster Yamaha Tech 3) in fourth overall, with Jack Miller (Alma Pramac Racing) confirming more good speed on the Ducati to complete the top five just 0.038 in arrears. Cal Crutchlow (LCR Honda Castrol) was also in close company, however, just 0.030 behind the Queenslander to take P6 and show some good pace as he gets back to full power following his highside at Le Mans. Home favourite Valentino Rossi (Movistar Yamaha MotoGP) closed the gaps up even more as he took seventh only 0.012 back, edging out VR46 Academy and EG 0,0 Marc VDS rookie Franco Morbidelli by less than half a tenth on home turf. Danilo Petrucci (Alma Pramac Racing) made for more home delight in ninth, with the top ten completed by multiple-time Mugello winner Jorge Lorenzo (Ducati Team).